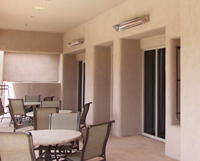 patioheat.com Sunglo Sunpak Infratech Patio Heater and Parts: Infratech Stainless Steel 39" 2000 watt 240 volt FREE SHIPPING!!! Infratech Stainless Steel 39" 2000 watt 240 volt FREE SHIPPING!! !